The KEXP Gathering Space offers awesome live music and incredible coffee in the heart of Seattle. Click here to find upcoming live performances at the KEXP Gathering Space. You can find the KEXP Gathering Space at the KEXP studios at 472 1st Ave N (map). In other words, near the Seattle Center. It’s an intimate space for a live concert, allowing around 380 people. The shows are FREE, open to the public, and welcome all ages and even pets. 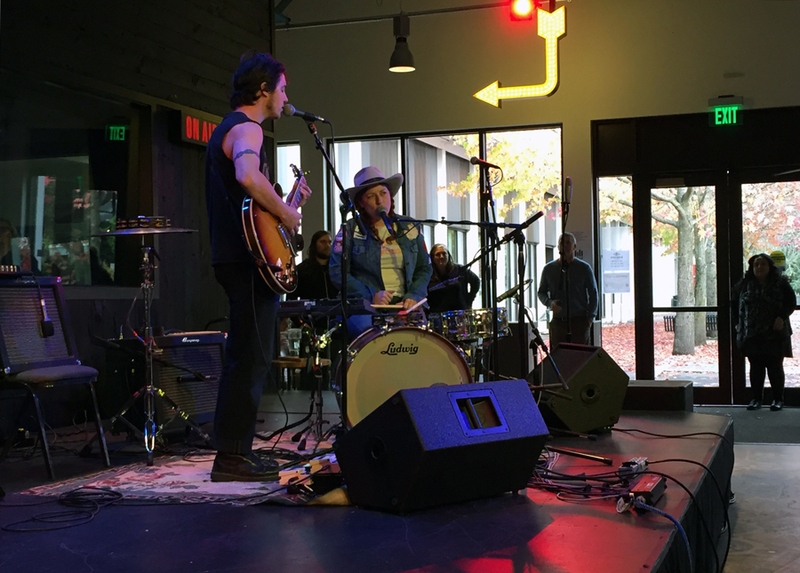 I have seen a few live performances at the KEXP Gathering Space, including Charles Bradley and Shovels & Rope. It’s not a full show, but the performers still play four or five songs. That means the acts last about 20-25 minutes. On top of live music, the KEXP Gathering Space also includes our favorite coffee shop in Seattle: La Marzocco. Every month, La Marzocco features a different coffee roaster from the United States or around the world. 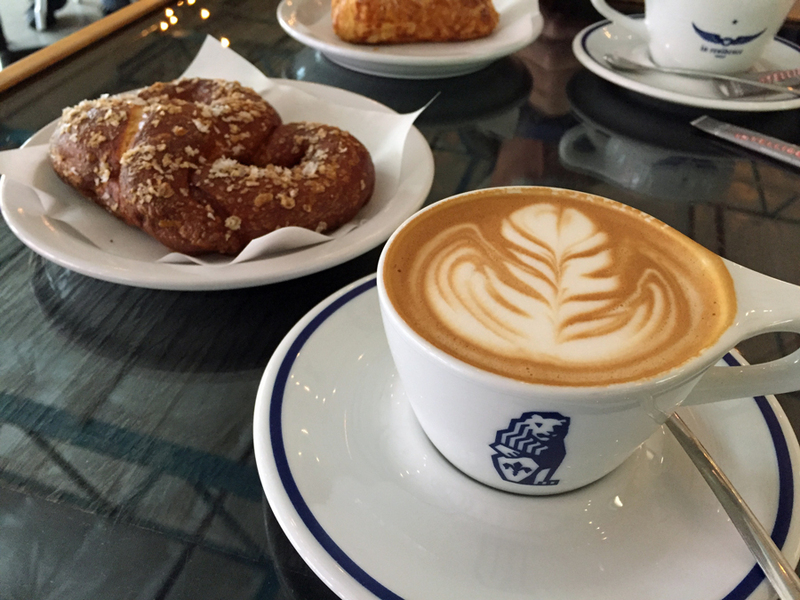 The drinks, snacks, and even the dishes change to look, feel, and taste just like the featured coffee roaster does. When there isn’t live music, the KEXP Gathering Space is still just that — a gathering space. 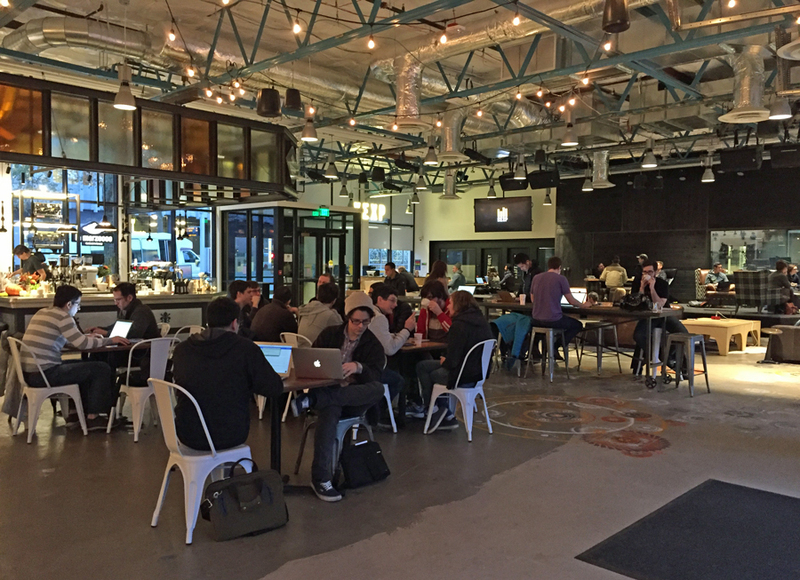 There are couches, chairs, and plenty of tables to hang out, work, or just chat. It’s one of my favorite places to post up and chill in Seattle. Have you ever visited the KEXP Gathering Space? How was your experience? We’d love to hear from you! Please leave a comment below or connect with us on Twitter, Facebook, and Google+. Don’t forget to also check out Seattle Bloggers for more great places to check out around the Emerald City!